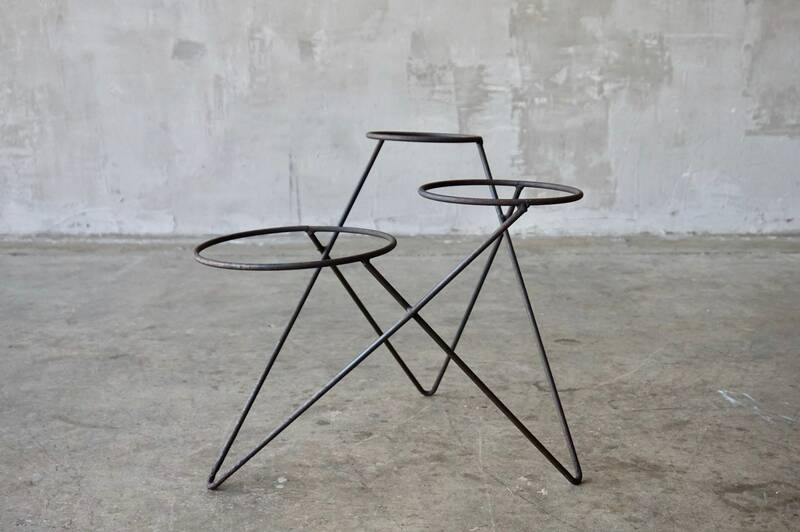 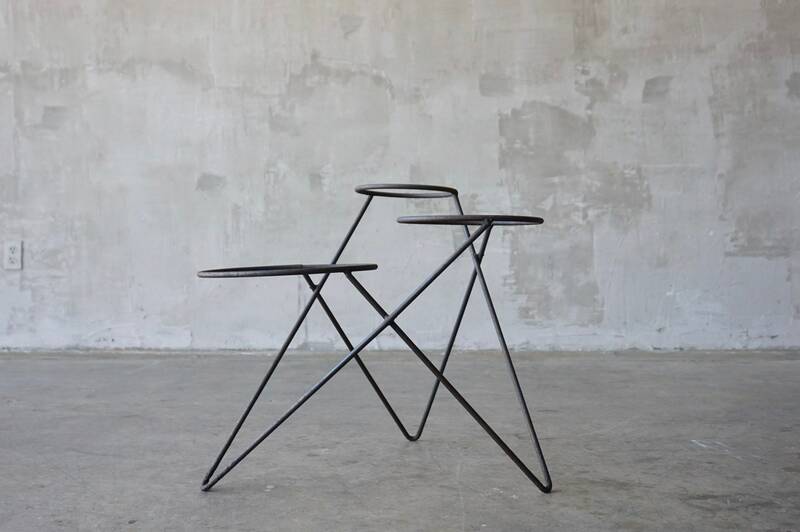 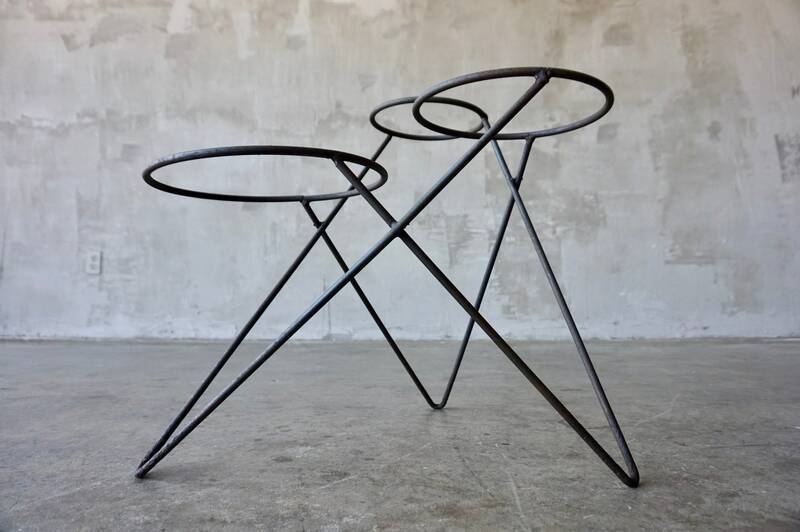 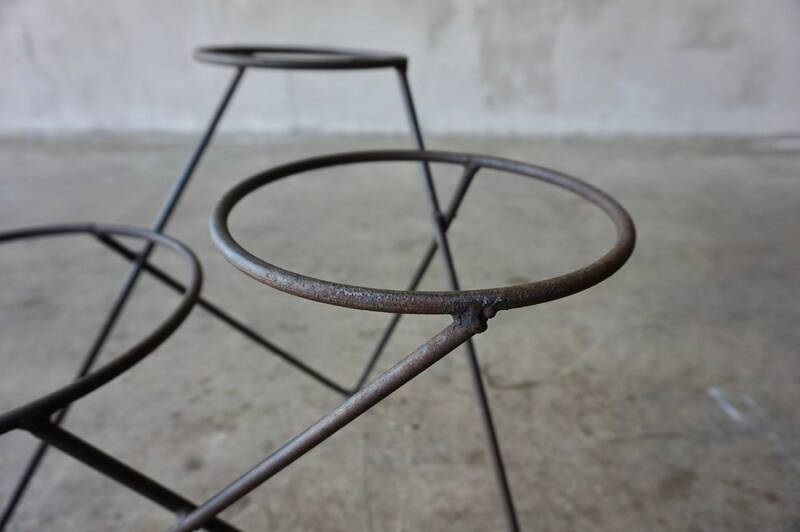 Rare iron plant stand designed by Victor Bisharat, c. 1951. 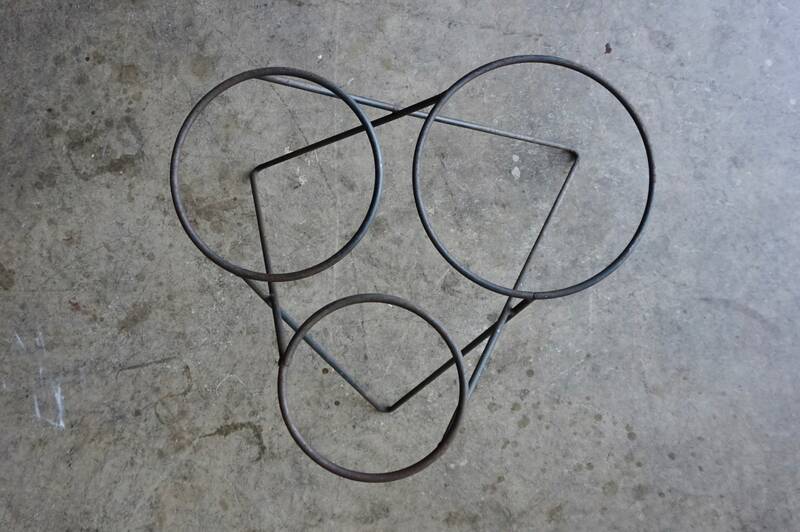 Measures 18.25”H x 20.5”W x 20”D. 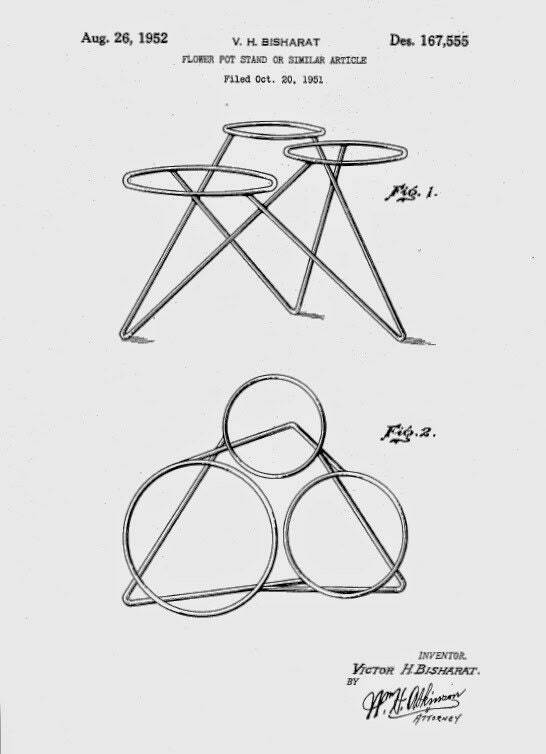 Rings measure 7”, 8.75”, & 10.75”D.